Of the three great exponents of Vedanta philosophy, Bhagwad Ramanuja with his aesthetic beautiful interpretations occupies the central place. 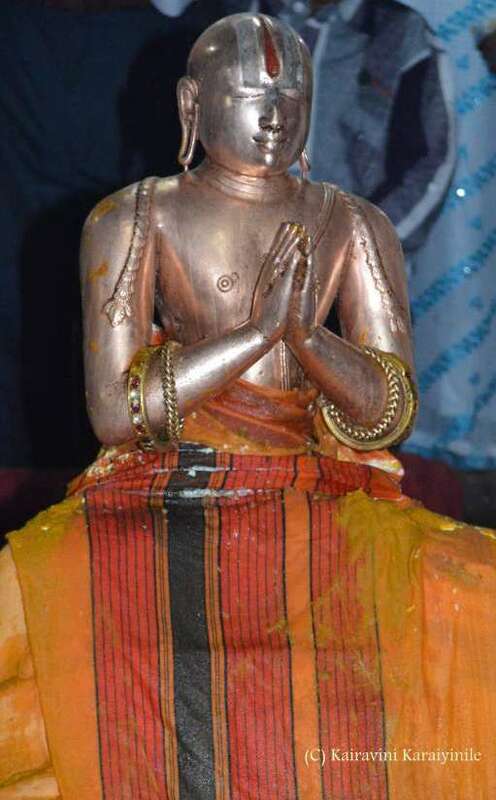 Sri Ramanujar hailed as Udayavar, Emperumanar, Bashyakarar, Ilayazhwaar amongst other names was born in the year 1017 at Sri Perumpudur on ‘Thiruvathirai’ thirunakshathiram in the month of Chithirai. Today is a great day for the Nation ~ the Independence Day. Prime Minister Narendra Modi's speech on 70th Independence Day of Maha Bharat made it clear that he has completely rerouted his policy on Pakistan with aggressive comments referring to Pakistan's human rights abuses in its large province of Balochistan as well as Pakistan-Occupied Kashmir. Shri Narendra Modiji said the people of those areas have thanked him for drawing attention to their troubles, a reference to his warning last week that if Pakistan continues instigating the violence that has seared the Kashmir Valley for over a month, India will be compelled to expose Islamabad's many wrongdoings in regions fighting terror and atrocities by its security forces. 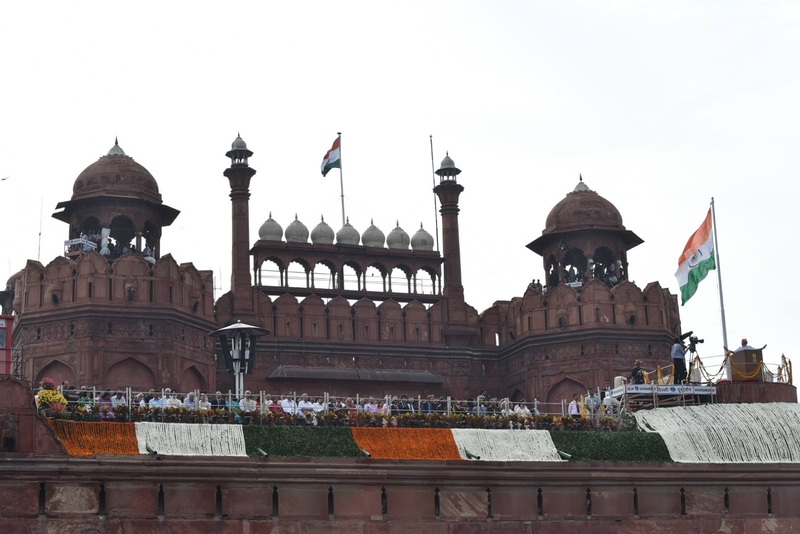 The PM's comments about Pakistan were placed at the end of a lengthy speech he delivered in the traditional address on August 15 from the ramparts of the Red Fort. "They glorify terrorists who attack us," he said, recalling that India "cried with sorrow" when nearly 130 children were killed in a ruthless massacre by the Taliban in Peshawar two years ago. The Prime Minister, Shri Narendra Modi, today (15th August 2016) addressed the nation from the ramparts of the Red Fort on 70th Independence Day. Shri Narendra Modi paid homage to Mahatma Gandhi, Sardar Patel, Pandit Jawaharlal Nehru, and countless people, who sacrificed their lives so that Swarajya could be attained. He said that 125 crore Indians have now resolved to complete the journey from Swarajya to “Suraj.” He said the achievement of Suraj will require sacrifice, hard work, discipline, dedication and courage, and added that every institution from Panchayat to Parliament must work unitedly towards this goal. The Prime Minister said that there was a time when allegations engulfed the Government. He said that this Government, instead, is surrounded by expectations. He said that when hope gives rise to expectations, it gives us energy to move faster towards Suraj. The Prime Minister said that he wishes to focus not on the work done by the Government, but on its work-culture. Ramanujacharya used to say that we must look at everyone with the same gaze, never humiliate anyone. This was said by Ambedkar, Gandhi too. If society practices this discrimination it will break society. If discrimination is entrenched, our determination to fight it and our sensitivity to fighting it should be that much higher. Just economic progress is not enough, social equity is more important. We have to fight social evils together. The Prime Minister announced some new initiatives. He said the pension for freedom fighters would be enhanced from Rs. 25,000 to Rs. 30,000 per month. He said the Government would work towards creation of museums and memorials dedicated to the Adivasi freedom fighters across the country. Government would bear expenses upto one lakh rupees for the poor, towards meeting the cost of hospitalization. We feel more happy in the reference to our darsana Sthapakar, Sri Ramanujar, rightly reverred as ‘Yathi Rajar’ ~ the king among yathis [hermits and sages], it is our Acharyan who showed us the right direction to follow. The greatest reformer he was, Ramanuja gave us many vedantic treatises. Sri Udayavar, toured the entire Country, making the Srivaishnavatie tradition flourish in all his path. He was a great administrator too. He created flawless systems, corrected the administration of Sri Rangam ensuring the proper maintenance of the wealth of Lord Ranganatha and creating teams to properly continue all kainkaryams to the Lord.